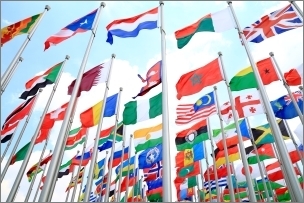 IMA works ‘in partnership’ with British and foreign Government Departments, Embassies, High Commissions and international Chambers of Commerce throughout the world. Our work has helped to identify the most efficient ways for British companies to trade with, and invest in, opportunity-rich overseas markets. During the last 10 years IMA has worked with the Department for International Trade (DIT) on 100+ overseas ‘market’ and ‘industry’ sector-specific, trade promotion campaigns. 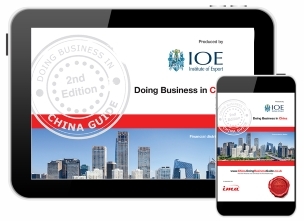 IOE&IT together with IMA produce the internationally-recognised ‘Doing Business Guide’ series of trade publications. The 'Doing Business Guides' are designed to advise and assist UK companies when looking to trade with and invest in opportunity-rich overseas markets. These are composed of market and industry sector-specific, multi-format print and digital trade reports, together with some of the internet’s most visited international trade websites. These reports and guides are then distributed free-of-charge through the IOE&IT, IMA and British Governments global office networks - over 500 distribution outlets in total. 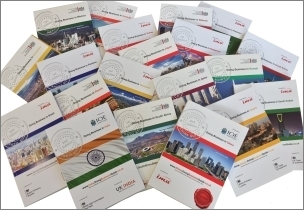 Further distribution takes place at global exhibitions, roadshows, conferences and trade missions, and IMA receives daily requests for additional copies of the guides from these networks and from businesses considering exporting. The 'Doing Business Guides' are produced by IOE&IT and IMA, and are supported by the following partner organisations - Please click on the logos below to view more information on our associates or to find out how our associates can help you succeed in opportunity-rich overseas markets!